bearing360 | News & commentary about aviation and airplanes — for pilots, AMEs, flight attendants and anyone who has ever gazed up at the sky or down on the world. Views are my own. 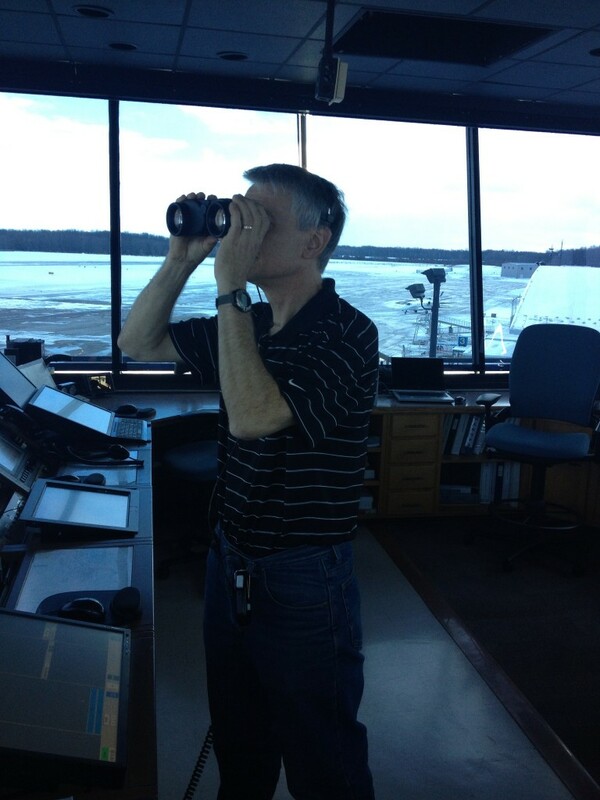 Randy Brown, the unit operations specialist at NAV CANADA’s Waterloo control tower (CYKF), has been watching over pilots and safely managing air traffic for 32 years. He offers some sound advice for new and veteran pilots alike. P.S. — his tower door is always open to pilots with questions (call first to set up an appointment). Read all about it, here. Randy Brown, at his post in the Waterloo control tower.